After the loss of a couple of chickens, and after exposing our Cornish cross meat birds to the dangers of an outdoor chicken yard, we’ve stepped up our predator vigilance around here. 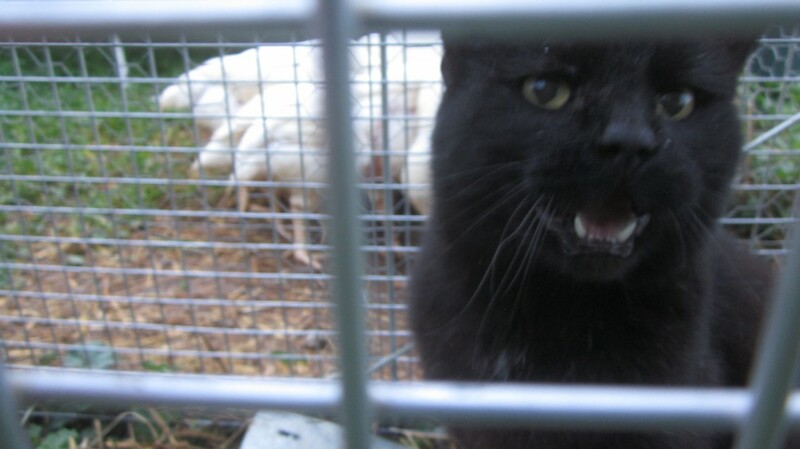 I cannot overlook the fact that it was about this time last year that we started our several-months-long battle of wits against last year’s formidable foe, The Dreaded Varmint, with the reward to the victor: my unwitting hens. I want to forget about last summer, oh, I do–but I’m not quite so dotty yet to forget it. It was just a year ago, after all. He was such a cruel and cunning predator that he earned his own title. We lost at least a dozen of our laying hens to The Dreaded Varmint (see, I even capitalize his own title) over the summertime, and no matter what we did, he seemed to outsmart us. We had three (count ’em, three!) traps set up, ’round the clock! We spent countless hours–at night–out on the chicken coop roof, quietly watching for him. We fortified our chicken coop, attaching hailscreen to the screened windows (after he ripped one out) and piling heavy bricks and cement blocks against the doors (after he opened the doors to gain entrance). I’m still not sure if our struggle was more of a reflection of his exceptional savvy or our exceptional idiocy, but in any case, you can start reading that tale right here, if you’re interested. It’s kind of a long story, but you can read it in bite-size morsels. One per day. Or two, if it captures your fancy. It can increase your gratitude that you weren’t us last summer, and that might be a beneficial mental exercise. Back to now. That, after all, was then. 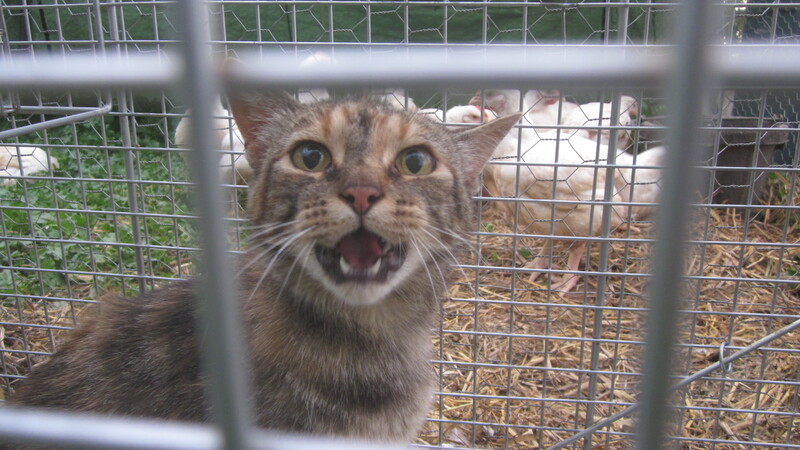 Just a few evenings ago, we set up the live trap–baited with dry cat food–right next to the Cornish chickens’ yard. Those silly chickens could be much safer if they huddled in the middle of their yard, a good many feet away from the wire fencing, but instead they press closely to one corner, all of them cuddled together, their soft billowy white feathers spilling out over the grass, because (quite simply) they don’t do much in the way of thinking. Sigh. It would be perilously easy for a wily predator to just reach under the fence and scoop one out for a midnight snack. Even if the yard is securely staked to the ground–which it is– there is that possibility. It keeps me on edge, honestly. Especially at night. So that is exactly where I set up the live trap, right next to the spot where those unwily chickens huddle for the night. They could reach out a claw and touch it, the chickens that is, if they wanted to. “Unwily” is not a word? What do you mean, Google? I SAY it’s a word, so it’s a word, capish? Unwily is a word. So there. A pretty fantastic word, if I do say so, myself (and I do). We caught this masked fellow on Night One. I read that sometimes a radio playing all night with a talk show is helpful in keeping predators away, so little Mack and I set up a radio out in front of the chicken coop and we turn it on at bedtime every night. Guess what? A little cheap radio from Wal-Mart can take an inch of rain falling on it, and it will still operate the next day. At least ours can. I’ve always believed (after the little-Mack-cleaning-the-cordless-phone-with-the-Windex-debacle) that time-tested principle: Electronics and water don’t mix. So much for that! I hope the neighbors don’t mind too much . . . (wince) . . . I mean, about the radio playing all night long. Hopefully they haven’t figured out yet where it’s coming from. There are other neighbors in the vicinity, after all. Surely we’re not the only people around who play a radio, from time to time, a bit louder than needed. Pshaw. All night long. The picture above illustrates why we only use live traps around here. We caught Merry on Night Two. She was annoyed. What were you doing out at night, anyway, Little Red? Little Red is a maverick chicken. 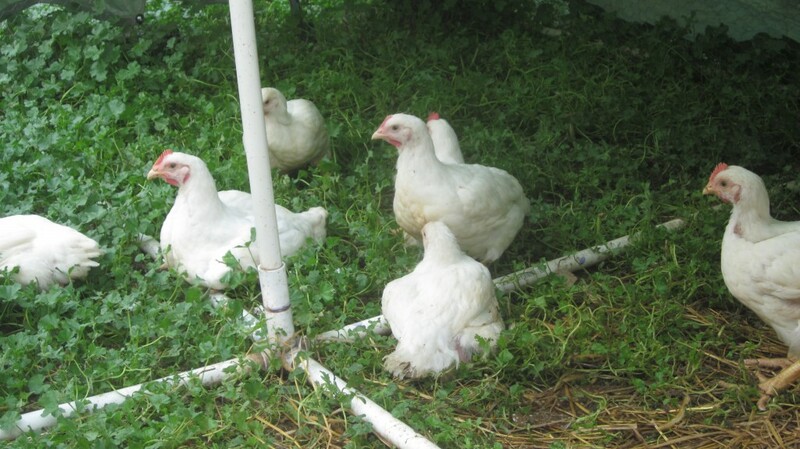 She prefers roosting in the huge silver lace vine on the side of the house, instead of inside the cramped and crowded chicken coop, like all the rest of the hens. She whispers to me (with a wink) that there is much more scope for the imagination from the lovely silver lace vine. So she gets up very very early and gets the worm, as it were, when all the rest of the hens are waiting for me to let them out of their coop. And she gets caught in the live trap. This was on Night Three. Night Four: our congenial cat Pippin got caught trying to snag a little midnight snack, apparently. Honestly, I’m starting to look forward to getting out to the live trap every morning. It gives me something to look forward to. It’s better than watching T.V. MUCH better. And I always have my camera with me, natch’. But we haven’t lost another Cornish–not yet, anyway. 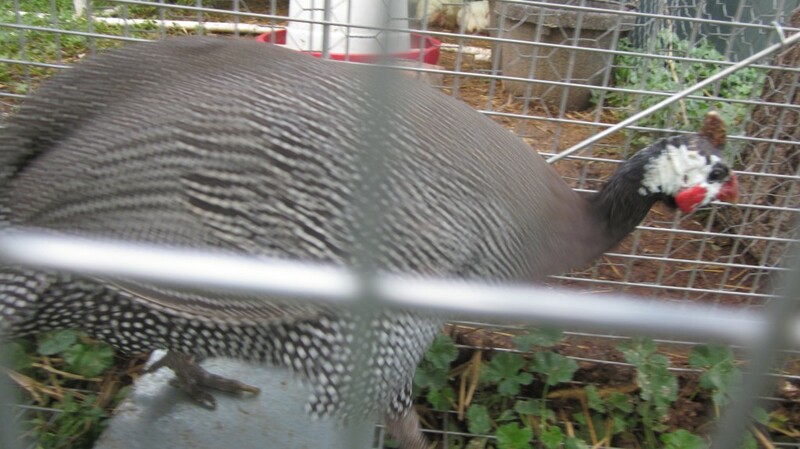 Here’s Hope, one of our guineas. She was moving too fast for me to get a good picture. Bad form, Hope. C’mon . . . stay still. Say “cheese”? No? 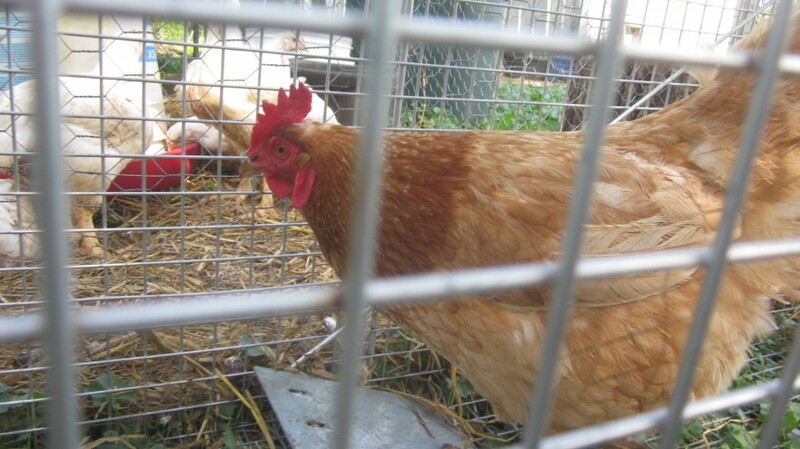 I mistakenly left the live trap open during the next day, and I caught Hope, our guinea, and one of our laying hens. 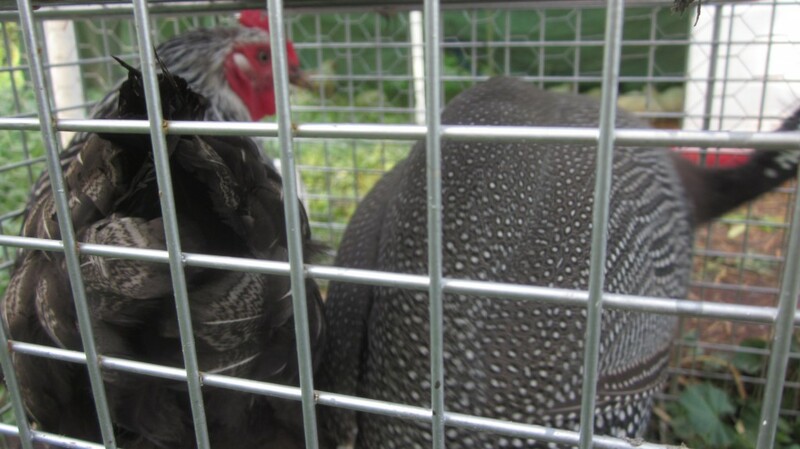 We have two guineas who continually irritate and annoy their calmer and more laid-back cousins, my laying hens. You could tell from the body language that this hen was not thrilled about being shut in with Hope for a few hours. So that’s it for now. 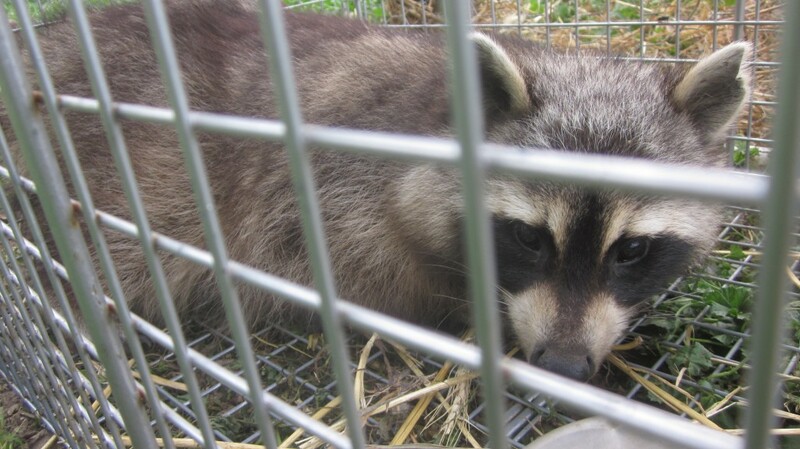 The only bonafide varmint we’ve caught so far in the live trap is that raccoon, and he won’t be coming around for a late-night chicken dinner again any time soon, that much is sure. I’ve still got to keep my Cornish Cross chickens alive for a few more weeks, until they are ready to go in to my freezer . . . I’m not going to let them go into some critter’s stomach, instead! ← The Prairie Homestead Guest Post:My New Favorite Garden Tools! Amy, another fantastic post. I am laughing out loud. Love the photos and the drama. I especially love the captions you wrote under the photos. Too funny. 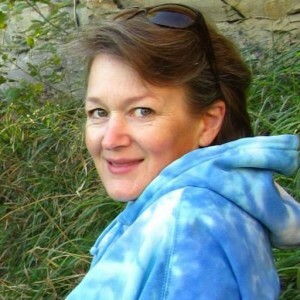 You make your life seem like such a wonderful adventure and I enjoy sharing it with you through your blog. 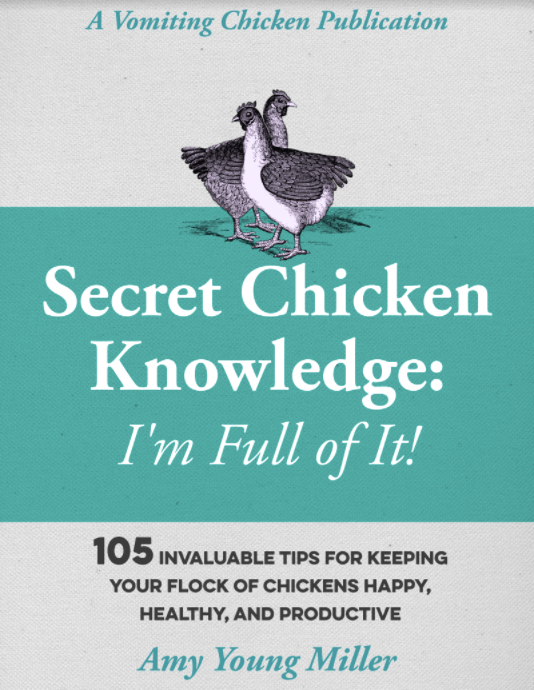 If only chicken wasn’t the favorite on everyone’s menu. I am glad I was not you last summer as you mentioned above but I am most thankful I wasn’t you poor little trusting chicks. lol. Sorry, I know its not a laughing matter. My mom always bought an extra dozen in the beginning it seemed to be our lost ratio until they where grown. not a happy 4th for the varmint! Very funny post. Isn’t it great to have real life drama in your life? Do the children beat you to the trap in the morning? I can picture their eager faces. Love the pictures of all the captives.